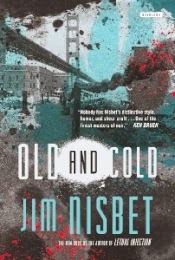 Jim Nisbet is a US crime writer hardly known in the United Kingdom, writing novels set in the counterculture of San Francisco in the noir genre, a genre which goes beyond hard-boiled to a bleak conclusion with, usually, a beautiful but corrupt femme fatale at the heart. Not at all my usual scene. However, I am deeply impressed by all four of these novels. There is nothing like them that I have encountered in past or present crime fiction. The author is not only a crime writer but a poet. Some of his prose is extraordinarily lyrical, elsewhere, particularly in the dialogue, bitingly witty. The meaning may sometimes be opaque (to say the least) and consequently extremely challenging to the reader. The plots are baroquely convoluted and the characters as fantastical as anything in Dickens. The texts are full of literary references which indicate post-modern tendencies, yet the writing as a whole, I would suggest, goes beyond post-modernism into a realm of its own. This novel is a tour de force. The unnamed narrator is a sixty-five-year-old alcoholic vagrant who tells his story in fifteen chapters each one written as a single paragraph consisting of his rambling thoughts and recollections in which he carries on a conversation with a voice in his head whom he addresses as Smart Money and also performs mental arithmetic acrobatics. So far, so near-schizophrenic, so autistic. But the narrator is also a hitman and from time, while rootling about in litter bins, he collects $5000 in cash or gun wrapped in newspaper. After he carries out his side of the bargain, without remorse, he can then consume his reward in the form of one vodka martini after another - all he can think about. The reader is obviously not meant to like the character but will have to admire the sheer technical expertise of maintaining the narrative throughout the whole book. The protagonist Klinger (no first name), an unsuccessful petty crook is, after a failed smash-and-grab raid, down-and-out. But then he picks a pocket and this brngs him into contact with the new San Francisco world of criminal information technology where all that is needed to carry out a heist is a couple of taps on a smartphone. His old mates left behind, his new friends are a computer whiz-kid and the dangerously beautiful Marci. But can they be trusted? In an ending of tragic irony which demonstrates the writer‘s command of formal narrative structure, Klinger realises that the smash-and-grab raid, which he had forgotten about, may well be his undoing. 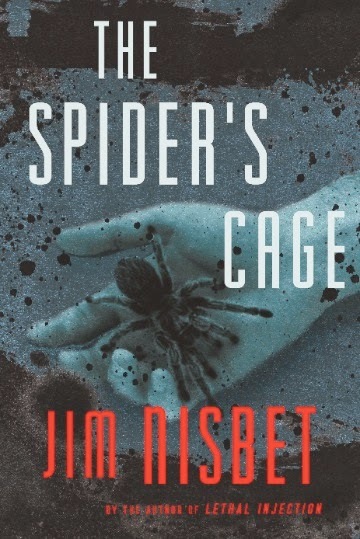 The Spider’s Cage begins ‘The indigo thatch of stars and space contained the desert night, the desert night contained a solitary building. Night and building evolved and moved imperceptibly, one about the other, cool and smooth like a pillow over a gun.’ The building is in fact a shack in which lived Edward ‘Sweet Jesus’ O’Ryan, rancher, cowboy, rodeo star, Hollywood extra, philanthropist and pioneer (and rich) oilman who had a taste for solitude and abstemiousness. But now O’Ryan is dead and the only creature to acknowledge his death for some days is a tarantula. Then his granddaughter country singer Jodie O’Ryan goes missing and her lover, the private detective Martin Windrow, searches for her through a bizarre social landscape featuring, among others, a Verlaine-quoting prostitute, an androgynous bodyguard, a pimp-entrepreneur-singer, a Salvadorean revolutionary, a car salesman hooked on tranquilizers, a cop who treats the common cold with cocaine cut with amphetamines. 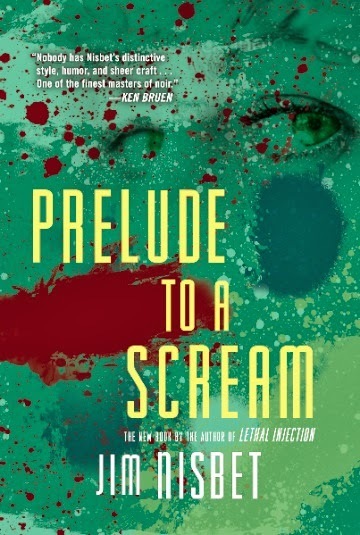 Finally the novel reaches its conclusion in that tarantula-infested shack in which O’Ryan died. Seven years ago middle-aged drifter Stanley Ahearn saved the life of a little Chinese girl. Ever since her father, a prosperous storekeeper, has provided Stanley with a flat, a job driving a van and enough money to satisfy Stanley’s taste for casual sexual encounters. But then he meets in a bar an alluring green-eyed woman who calls herself Vivienne. Three days later he wakes up in hospital missing a kidney. Unfortunately his other kidney is diseased; without a replacement he could die. With a new kidney his chances would be immeasurably increased, but, also unfortunately, he has no medical insurance and so is cursorily discharged. He has already discovered, thanks to Detective Corrigan who interviewed him in hospital, that he is not the only victim of organ robbery; he has several predecessors. The only way to get the new kidney he needs so desperately is to track down the perpetrators of the robbery beginning with the mysterious Vivienne. He is aided in this by Iris, the nurse who tended him in hospital, but he should also have trusted Corrigan. As it is, the novel ends with Stanley in a far worse place then he was before - very much the victim. But there are humorous passages, as in the other novels, which lighten the tone. I particularly liked the scene in hospital when Stanley is coming round and is dimly aware that Iris and the surgeon are arguing about the merits or not of ‘socialised’ medicine. But when the surgeon realises that Stanley is uninsured he can’t wait to get him out of hospital, hence the subsequent plot developments. In another amusing scene Stanley and Iris are treated to a lecture by a taxi-driver on environmental issues. These are bold and adventurous novels, recommended for readers who like a challenge. Jim Nisbet has published eleven novels, including the acclaimed Lethal Injection. He has also published five volumes of poetry. His novel, Dark Companion, was shorted-listed for the 2006 Hammett Prize. Various of his works have been translated into French, German, Japanese, Italian, Polish, Hungarian, Greek, Russian and Romanian. 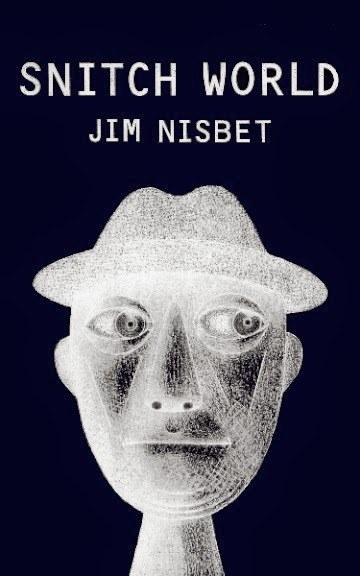 2010 could be named “The Year of Jim Nisbet” as, in addition to the PM/Green Arcade publication of A Moment of Doubt, Jim has a new hardcover, Windward Passage (winner of the San Francisco Book Festival 2010 Award for Best Science Fiction) from Overlook Press, along with two reprints, kicking off Overlook's reissue of Jim's entire backlist, beginning with the long out of print Lethal Injection, and, to finish off an amazing four-novel year, The Damned Don't Die. Aside from reading and performing his own work for some forty-five years, Nisbet has written and seen produced a modest handful of one-act plays and monologues, including Valentine, Note from Earth, WonderEndz™ SmackVision™ and Alas, Poor Yorick, and himself directed the original productions of most of these works. Nisbet also owns and operates his own business, specializing in but not limited to the design and construction of its eponymous Electronics Furniture.